A lovely lavender birdie called bert. 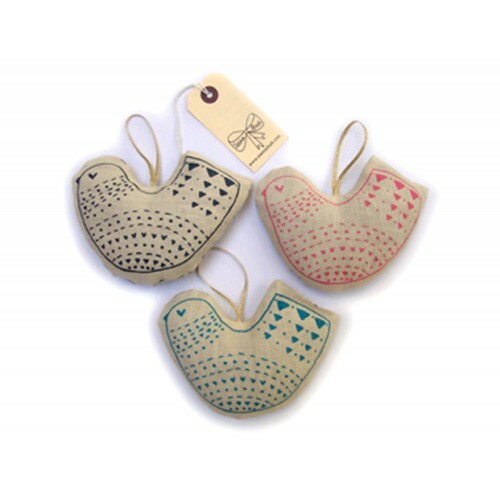 These pretty hanging birdie shaped lavender bags have been hand screen printed and handmade here in London. Filled with british lavender and printed on 100% linen with a vintage or found fabric patterned back. They measure 10cm x 15cm approx. Use them to keep the moths away, pop one in your knicker draw or hang them up for all to see.